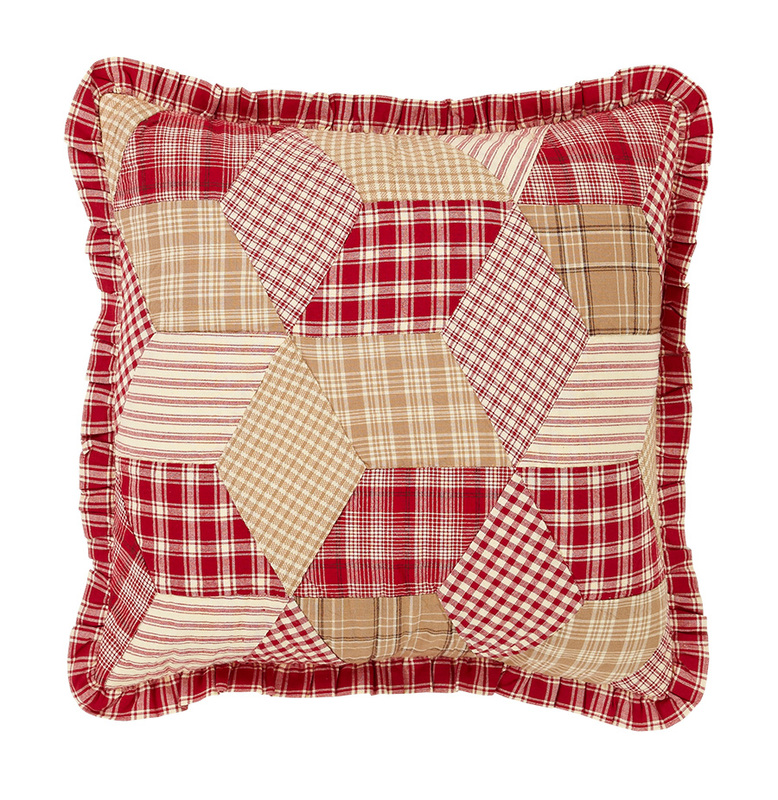 Red and cream plaid, printed and stripes in a rolling diamond pattern and trimmed with a ruffled edge. that reverses to a 2-button closure. Filler insert not included. One pillow cover left in stock.